Lawrence County is located in the extreme northwestern part of Pennsylvania and is part of the Appalachian Plateaus physiographic province. It is one of five counties that border the state of Ohio, the others being Beaver, Mercer, Crawford and Erie. Lawrence County was formed on March 20, 1849 from parts of Mercer and Beaver counties. Lawrence County has a total population of over 91,000 people living in an area of 363 square miles, all of which is drained by the Shenango, Beaver and Mahoning rivers, Slippery Rock and Connoquenessing creeks. Its name sake is taken from Commodore Perry’s warship,” Lawrence”. New Castle is the county seat originally founded on a 50 acre plot of land at the confluence of the Shenango River and Neshannock Creek by John Carlysle , a civil engineer charged with resurveying the region in 1798 (Donehoo 1928). A number of Indian paths crisscrossed the county and some of these were chronicled as important multidirectional pathways as early as the 18th century (Wallace 1965). As a direct influence, the region became an important focal point for trading between Native and European traders. Principal Indian towns of Delaware and Seneca attribution included “The Kuskuskies” towns centered at the confluence of the Shenango and Mahoning rivers and at other locations near the mouth of the Neshannock. Heckewelder (Donehoo 1928) noted that the name Kuskuski was a corruption of Goshgoshing “the place of hogs”, assuming that the name derived from the native’s propagation of this animal as a primary food source. 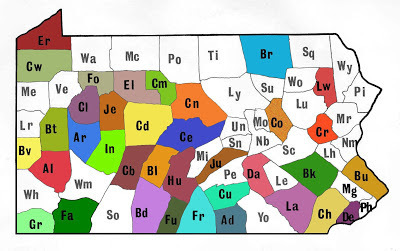 Lawrence County is largely composed of Mississippian and Pennsylvanian periods (360-290 million years in age) rocks consisting of sandstones, limestones, shales and coal seams that were formed from a low lying swamp. Some of these layers contain well preserved plant and animal fossils. Subsequently, millions of years later the region experienced massive glaciations that eventually retreated leaving the prehistoric landscape scoured and modified in many places. Many of the glacial features such as eskers, moraines, and kettles can still be observed throughout the county. From an archaeological perspective Lawrence County has a long and complex record. 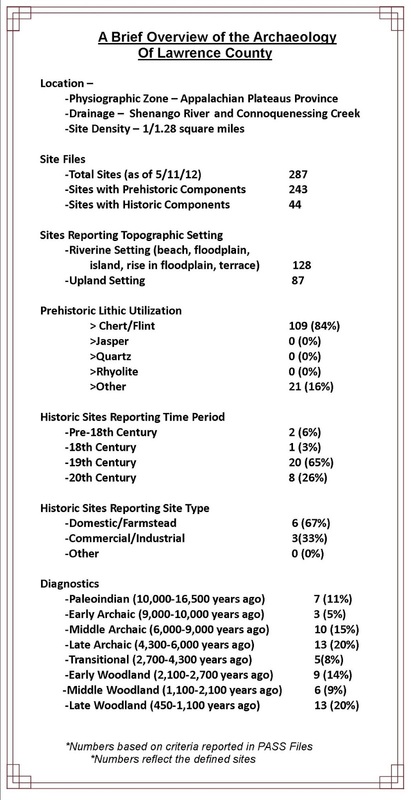 The Pennsylvania Archaeological Site Survey files contain a total of 287 recorded archaeological sites or one site for every 1.28 square miles. Forty-four of these are historic period sites characterized by 18th, 19th and 20th century remains. Prehistoric sites are mainly situated in riverine settings and 40% are found in upland settings . 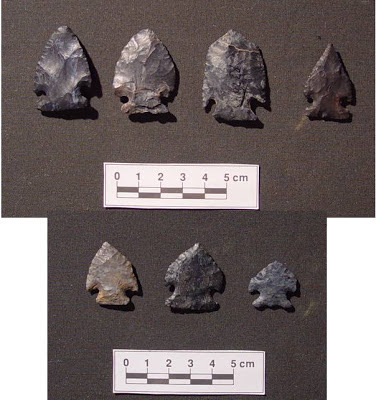 A variety of cherts represent the primary lithic material. These were obtained from local glacial moraines and number of prehistorically utilized quarries in northeast Ohio. The entire continuum of Paleoindian through Historic Indian occupation has been identified for Lawrence County (Mayer-Oakes 1955). 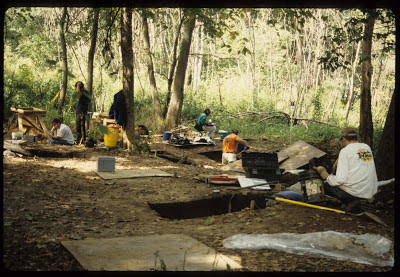 Sites dating to the Archaic and Late Woodland periods are the most common followed by Transitional, Early, Middle Woodland and Paleoindian periods. A remarkable cache of stone and copper artifacts is reported from a Middle Woodland mound on the Beaver River. 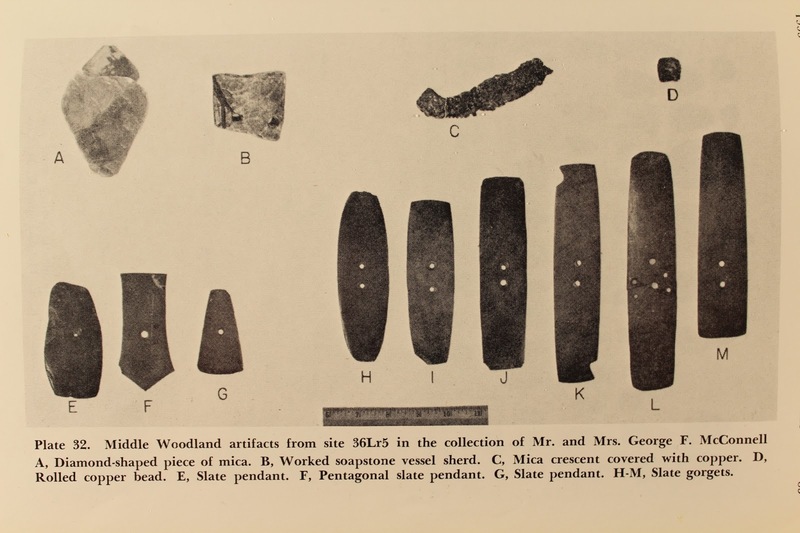 The cache was comprised of banded slate gorgets, pendants, cut sheet mica, a copper bead and numerous projectile points. Among the latter at many sites in Lawrence County is a unique type called “Raccoon Notched” which is common to the Beaver drainage and many other regions. 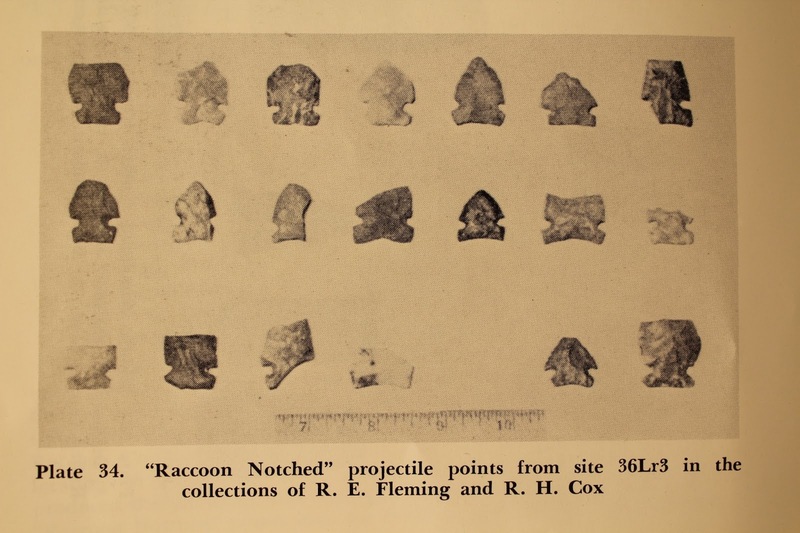 Raccoon Notched points are exquisitely made out of high quality chert and their principal identification attributes are the square side and/or corner notched base, overall thinness and pressure flaked surface. Bases are typically square to concave with a decided break or gradual curve near its distal end which gives the blade of the point a pentagonal or ovate shape. The Raccoon Notched tradition has been formally described by Stanley Lantz (1989). These are very similar to the Jack’s Reef projectile point type of eastern Pennsylvania and New York. Both may represent arrow points rather than spear points. As we time travel through Lawrence County many Native American sites of the Late Woodland/Late Prehistoric period become evident. 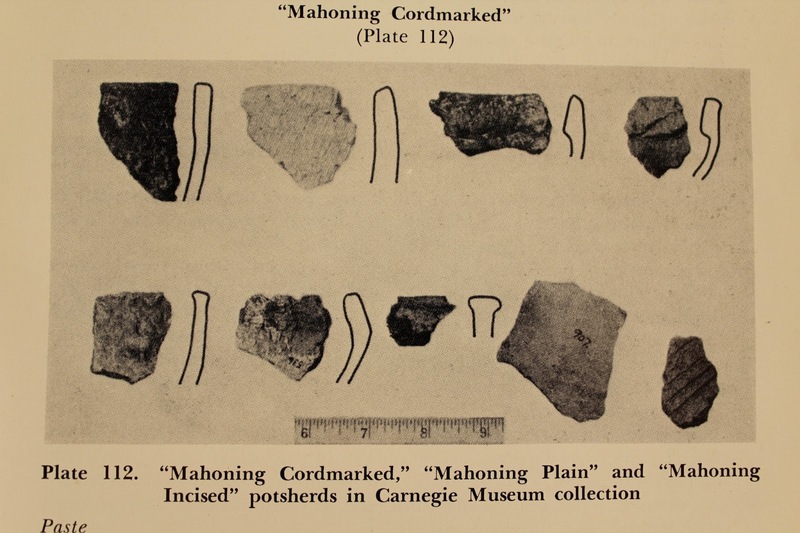 Among such sites are those found possessing a type of grit tempered cord-marked pottery called Mahoning ware (Mayer-Oakes 1955). One of these sites is Coverts Crossing Site (36LR75), a multi-component prehistoric site located along the Mahoning River floodplain near New Castle, Pennsylvania. Phase I,II and Phase III data recovery investigations were conducted there by GAI Consultants, Inc., between 1998 and 2000 as part of the Coverts Crossing Bridge Replacement Project (MacDonald 2000). Two discrete soil deposits contained prehistoric artifacts: an uppermost cultural stratum associated with a Late Woodland occupation and a deeper Late Archaic occupation. Both occupations, though different in age, apparently functioned as short term camps that were revisited over several seasons. Although no postmold features, which often define house and other structural patterns at a site were identified at Coverts Crossing, there were a number of pit and hearth features in the two cultural bearing strata. The uppermost deposit , or Late Woodland stratum, revealed hearths and food processing pits of Native Americans that date between 900 and 1200 years ago. Their contents, comprised of charred corn, berry seeds, nuts , animal bones and triangular stone points (used to harvest the animals). These dietary remains suggests that these people were foragers, hunters and farmers who utilized the campsite during the late summer through early autumn.They cooked or boiled some of their foods in a type of hand molded bag-shaped pottery container that archaeologists call Mahoning Cordmarked (Mayer-Oakes 1955). The deeper, or lower, Late Archaic stratum revealed hearths, roasting pits and a lithic scatter, the latter essentially consisting of discarded/lost stone flakes from the manufacture and re-sharpening of stone tools that the Late Archaic people used in everyday life. These cultural features and stone tool artifacts from the deeper stratum dated to approximately 3500 years ago. We hope you have enjoyed this glimpse into the archaeological heritage of Lawrence County, for it is merely a glimpse. Hopefully it will inspire you to seek such publications such as Prehistory of the Upper Ohio Valley or Indian Paths of Pennsylvania. Understanding and exploring our archaeological heritage is pivotal to our understanding of human behavior and our ability to change and adapt over time- just as the peoples of Lawrence County have done for thousands of years. Visit us again next week when we present some interesting archaeological information about Lebanon County. 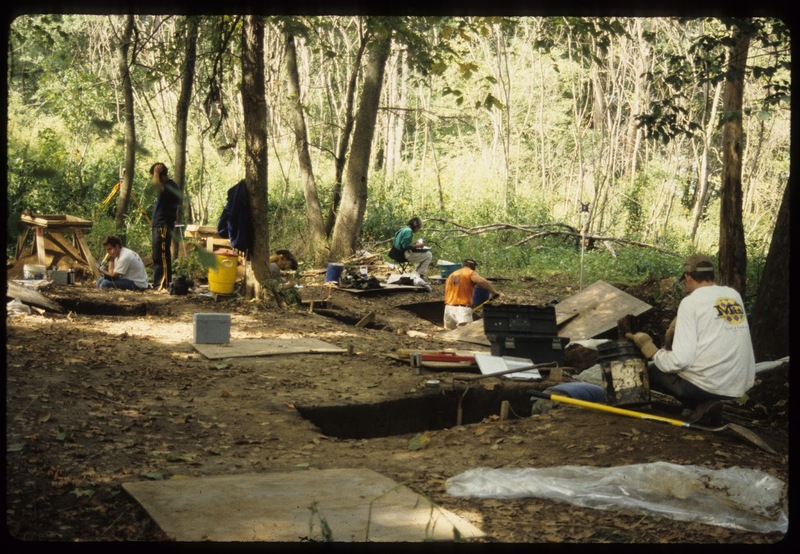 2000 Phase I, II and III Archaeological Investigations: The Coverts Crossing Site (36LR75). Final Technical Report. Report prepared for Frank B. Taylor Engineering, New Castle, Pennsylvania. 1955 Prehistory of the Upper Ohio Valley: An Introductory Archaeological Study. Anthropological Series, No.2. Annals of the Carnegie Museum. 1965 Indian Paths of Pennsylvania. 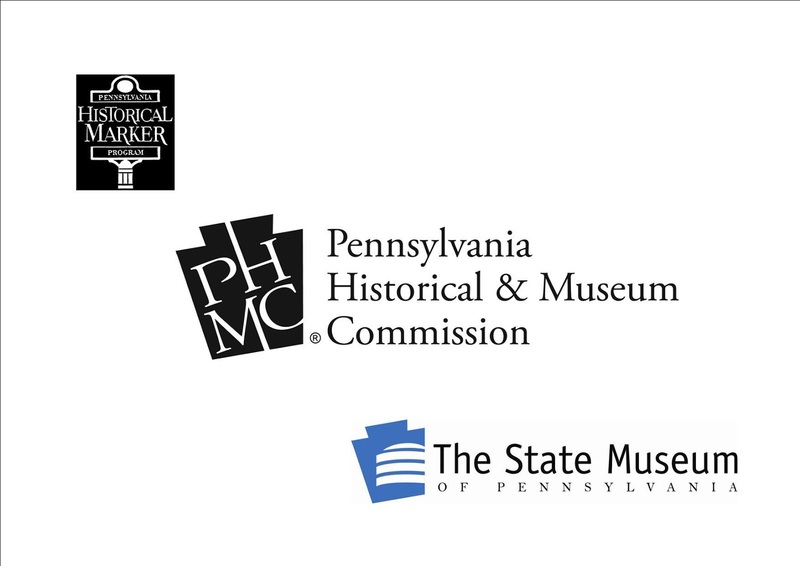 The Pennsylvania Historical and Museum Commission. Harrisburg. This week we return to our journey by county of the archaeology of Pennsylvania and 2013 starts us off in a county rich in archaeological heritage, Lancaster. 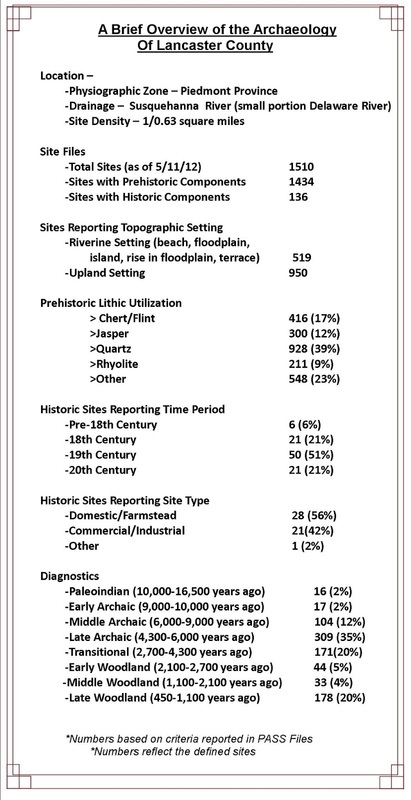 The Pennsylvania Archaeological Site Survey (PASS) files document over fifteen-hundred recorded sites; a rate of 1 per every 0.63 miles. 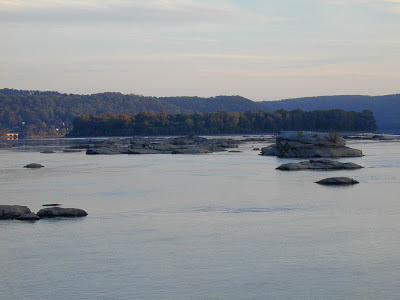 Situated in the Piedmont physiographic Province, the Susquehanna River provides drainage in this rolling terrain. The rich alluvial soil deposits of Lancaster County, in particular those in the area of Washington Boro, combined with a relatively long growing season of 150 to 173 days resulted in one of the most productive agricultural regions in North America. 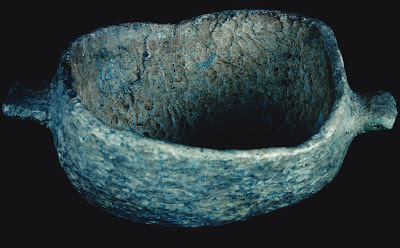 Lithic resources include steatite quarries in the eastern portion of the county which native peoples used to create stone vessels around 3,000 years ago, the earliest form of durable cooking containers. 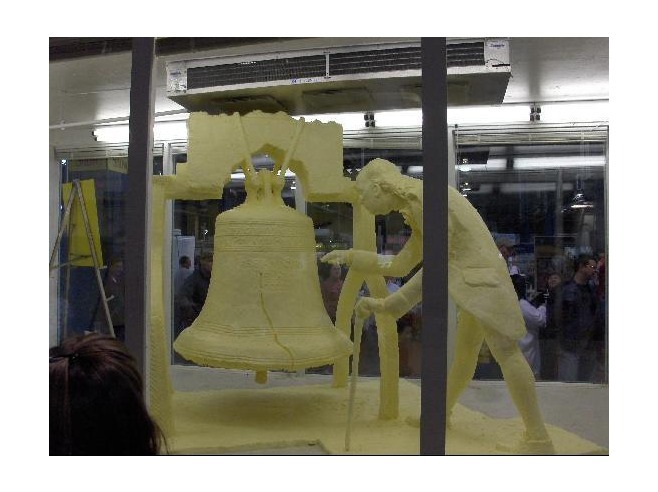 This material was widely traded, appearing all across Pennsylvania. Ninety-five percent of the sites recorded fall into the prehistoric site category. This high percentage is clearly an indicator of the utilization of these rich resources by peoples from the Paleoindian period (10,000 to 16,000 years ago) through European colonization. Forests of oak, chestnut, and hickory provided an abundant supply of nuts for hunters and gatherers, as well as vegetation to support animals including elk, bear and deer. The Susquehanna River was a valuable resource for transportation as well as for fish and freshwater mussels. The images carved into rock islands in the Susquehanna River known as petroglyphs are testament to the significant role that the river and wildlife that traveled through the area, meant to these early occupants. Evidence of usage by native peoples has been recovered at numerous excavation sites in refuse pits filled with dietary remains of fish and animal bones, as well as nuts, seeds and mussel shell. As native peoples transitioned from hunters and gatherers to an agriculture based society, this area provided an ideal environmental setting that would eventually support large numbers of people during the Late Woodland period (450-1,100 years ago). The Shenks Ferry Culture (750-500 years ago) is the first Late Woodland culture group to appear in the archaeological record. Excavations conducted at various sites have illustrated similar attributes of an agricultural society living initially in small hamlets and eventually moving into stockaded villages. Archaeologists continue to research and analyze data from excavations associated with this culture group in an attempt to better understand their origins and why they disappear from the archaeological record when the Susquehannock culture appears. 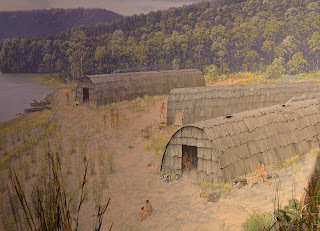 The Susquehannock Indians were highly organized agriculturalists that begin to appear about 1575 A.D. living in longhouses surrounded by stockade walls. Captain John Smith encountered the Susquehannocks in 1608 at the headwaters of the Chesapeake Bay. Smith describes them as “giants” but also describes “hatchets, knives and pieces of iron and brasse” indicating they were already involved in a European trade network. 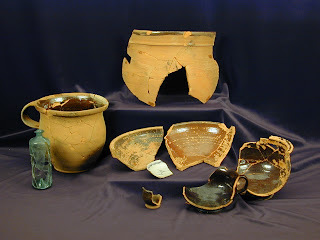 Artifacts recovered from Susquehannock sites further demonstrate this trade and exchange with Europeans in the form of brass kettles, glass beads, iron knives and axes. European fur trade was “big business” for the Susquehannocks and other native groups to the north. The struggle to control this trade resulted in various attacks and in 1663 a Jesuit missionary recorded the defeat of Seneca Indians at a fort above the Conewago Falls. Barry Kent speculates in his publication, Susquehanna’s Indians that this battle occurred at the location of the village site identified as Strickler (36La3). Unfortunately, this was not the only attack on the Susquehannocks and the combination of disease and conflict from other native groups and colonists would eventually decimate their population. An attack in 1763 by a group of men known as the Paxtang Boys, resulted in the killing of the last of the Susquehannocks living in Lancaster County. By the early 18th century, Lancaster County was being colonized by immigrants moving from Philadelphia north and west. German immigrants were drawn to the rich soils for agriculture and the red clay for producing traditional redware pottery. Having been produced as early as 1690 in Philadelphia, redware pottery appears at most historic archaeological sites. 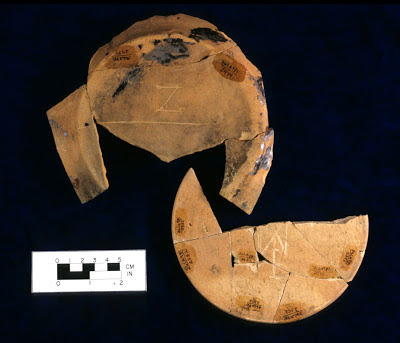 Archaeologists often look to ceramics as an important tool in dating archaeological deposits; however redware continues to be produced in Lancaster County today, thus making it an ineffective marker for dating sites. Archaeology conducted at Ephrata Cloister, a Pennsylvania Historical and Museum Commission property in Lancaster County, provided an opportunity to examine an eighteenth-century religious communal society. The biblical name “Ephrata” was selected for the community because it signified a place of suffering. Members of this community took vows of celibacy, poverty, and obedience. Personal possessions were not permitted. Archaeologists recovered redware vessel fragments on which initials had been scratched into the clay, marking it as personal property. Sometimes the archaeological record is able to identify and correct the historic record, as was the case with these redware sherds. The city of Lancaster was the largest American inland town by 1760 and retained that slot until Pittsburgh surpassed it in the 1810’s. Lancaster also served as the capital of Pennsylvania from 1799 to 1812. Its access to the Susquehanna River and relatively close proximity to the supply ports in Philadelphia and Baltimore, led to important roles in both the French & Indian War and the Revolutionary War. Early industries in Lancaster included gun manufacturing; additionally uniforms and gunpowder were also produced here and supplied to troops during the Revolutionary War. With the development of the canal systems and eventually the railroad, Lancaster’s geographic location and environmental setting positioned it for long term growth and development. Recording of archaeological sites is often the result of development projects and we can attribute many of the recorded sites to either private development or municipal improvements. A recently submitted collection was the result of improvements to the Queen Street Station and construction of a parking garage for the Red Rose Transit Authority. Excavations conducted by URS Corporation provided an opportunity to examine an urban setting that spanned from a log house in the 1740’s through the twentieth century. Archaeologists discovered a stone lined well from the 1740’s, a redware kiln from the 1760’s-1770’s; and a brass foundry dating from 1777-1833. The establishment of small craft industries was important in the development of colonial America and this heritage of skilled craftsmen played an important role for Pennsylvania during the Industrial Revolution. We hope you have enjoyed this glimpse into the archaeological heritage of Lancaster County, for it is merely a glimpse. Hopefully it will inspire you to seek such publications as Susquehanna’s Indians, Petroglyphs in the Susquehanna River near Safe Harbor, Pennsylvania, or any of the numerous journal articles on archaeology conducted in Lancaster County and published in Pennsylvania Archaeologist. Understanding and exploring our archaeological heritage is pivotal to our understanding of human behavior and our ability to change and adapt over time- just as the peoples of Lancaster County have done for thousands of years. Petroglyphs in the Susquehanna River near Safe Harbor, Pennsylvania. 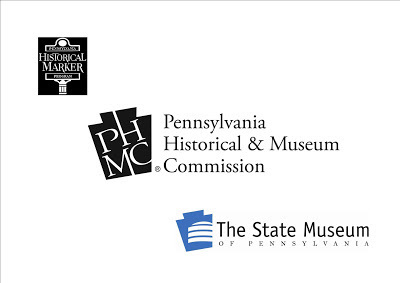 Commonwealth of Pennsylvania, Pennsylvania Historical & Museum Commission, 1934,2001. Susquehanna’s Indians, Anthropological Series Number 6, Commonwealth of Pennsylvania, Pennsylvania Historical & Museum Commission, 1993. The 2013 PA Farm Show is nearly done for another year with today, Friday the 11th, and tomorrow the final days of the show. As in years past, our archaeology exhibit has been well received by the attendees. Occasionally, folks passing by would thank us for our work in preserving and interpreting the Commonwealth’s rich cultural heritage. Such praise from the public is flattering, and a wonderful moral boost for the troops, reinvigorating us to bolster our efforts in raising awareness about all things archaeological in Pennsylvania. This year’s theme, commemorating the 250th anniversary of the end of the French and Indian War, seemed to engender a great deal of interest with the crowd. By way of a little bit of statistical extrapolation, we’ve calculated that throughout the week, somewhere in the neighborhood of 38,000 people were engaged in our exhibit, enjoying complimentary Archaeology Month posters, Heritage magazines, temporary tattoos of the Archaeology Section logo, and our growing series of archaeology brochures, including this year’s, that focuses on the French and Indian War in Pennsylvania. and the French & Indian War period with visitors. The large and colorful hanging text panels detailing important events of the conflict were intently studied by many, and some of the best artifacts recovered from French and Indian War forts in Pennsylvania were on display, sparking questions from young and old interested in learning more about that time period or archaeology in general. Also, the addition of re-enactors from the Augusta Regiment was a perfect complement to our exhibit, the icing on the cake so to speak, especially given this year’s theme. A big thank you goes out to Lynn Otto and all the members of the Augusta Regiment for collaborating with the State Museum’s Section of Archaeology and bringing the French and Indian War soldier to life for our visitors. 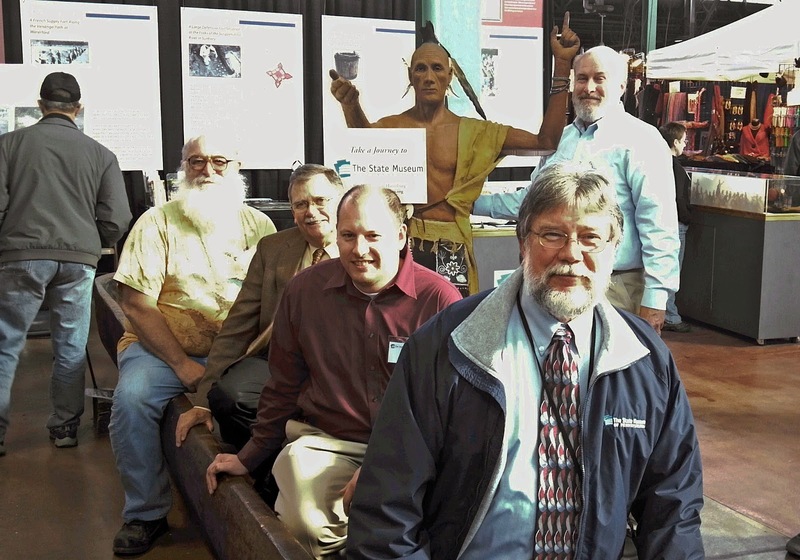 Front to back; David Dunn, Director of The State Museum; Brad Smith,Curatorial Supervisor;Jim Vaughn, Executive Director of the Pennsylvania Historical & Museum Commission (PHMC) and Brad Miller, volunteer. Looking on is Kurt Carr, Senior Curator, Section of Archaeology. 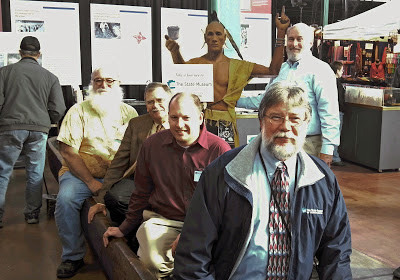 One final thank you goes out to our senior management for their support of this program, the State Museum of PA exhibits staff , our own Section of Archaeology staff, and last but certainly not least, our loyal volunteers for making this year’s farm show exhibit another resounding success, THANK YOU! To those of you looking ahead, next week we will resume our county by county tour of Pennsylvania archaeology with Lancaster County. Stay tuned! There is no better place to experience all that Pennsylvania agriculture has to offer than the Pennsylvania Farm Show. Tomorrow the 97th Pennsylvania Farm Show opens and we will be there. Our exhibit is installed and is sure to interest all of the visitors interested in archaeology. This year’s exhibit theme is the Archaeology of the French and Indian War (1756-1763). We will be showcasing the State Museum’s excavations at Fort Hunter as well as excavations at Fort LeBoeuf, Fort Augusta, and Fort Loudoun. A brochure detailing the archaeology of this time period will also be available. Our exhibit wouldn’t be complete without the 20’ dugout canoe which is always an eye catching attraction. French and Indian War period re-enactors will be present to answer questions and tell stories. Also, this year the Bureau for Historic Preservation’s exhibit booth will be located directly across the aisle from our own booth, providing a united display for the PHMC. 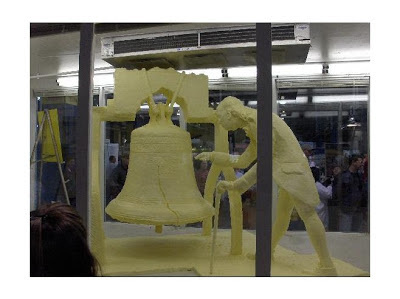 We are located in the Family Living Section, on the McClay Street side, not far from the carousel and the butter sculpture - hope to see you there! January 5th – 12th Pennsylvania Farm Show: 9am - 9pm Saturday to Friday, and 9am - 3pm on Saturday 12th.